The aircraft was designed in response to a Navy requirement of 1934 for a long range flying boat and incorporated knowledge gleaned by a Kawanishi team that had visited the Short Brothers factory in the UK, at that time one of the world's leading producers of flying boats, and from building the Kawanishi H3K, a license-built, enlarged version of the Short Rangoon. 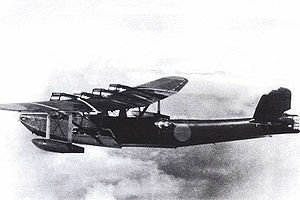 The Type S, as Kawanishi called it, was a large, four-engine monoplane with twin tails, and a hull suspended beneath the parasol wing by a network of struts. Three prototypes were constructed, each one making gradual refinements to the machine's handling both in the water and in the air, and finally fitting more powerful engines. 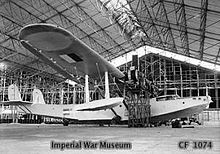 The first of these flew on 14 July 1936 and was originally designated Navy Type 97 Flying Boat, later H6K. Eventually, 217 would be built. H6Ks were deployed from 1938 onwards, first seeing service in the Sino-Japanese War and were in widespread use by the time the Pacific War full-scale erupted, in 1942. At that time of the war, four kokutai operated a total of 66 H6K4s. The type had some success over South East Asia and the South West Pacific. 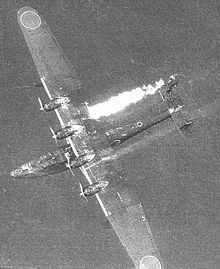 H6Ks had excellent endurance, being able to undertake 24-hour patrols, and was often used for long-range reconnaissance and bombing missions. From bases in the Dutch East Indies, they were able to undertake missions over a large portion of Australia. Evaluation prototypes with four Nakajima Hikari 2 engines, 4 built. Prototypes with 746 kW 1,000 hp Mitsubishi Kinsei 43 Engines, 3 converted from the original H6K1 prototypes. Unarmed transport version of H6K2 powered by Mitsubishi Kinsei 43 engines, 16 built. Modified transport version of H6K2 for VIPs and high ranking officers, 2 built. Transport version of H6K4, similar to H6K2-L, but with Mitsubishi Kinsei 46 engines, 20 built and another two converted from the H6K4. Fitted with 969 kW (1,300 hp) Mitsubishi Kinsei 51 or 53 engines and new upper turret replacing the open position, 36 built. Used on the routes Yokohama-Saipan-Koror (Palau)-Timor, Saigon-Bangkok and Saipan-Truk-Ponape-Jaluit. Francillon, Ph.D., Ren� J. Japanese Aircraft of the Pacific War. Annapolis, Maryland, MD: Naval Institute Press, 1995. "Kawanishi's Parasol Patroller". Air International, December 1985, Volume 29, No. 6. Bromley, UK: Fine Scroll. pp. 293-298, 304-305. "Pentagon Over The Islands...The Thirty Year History of Indonesian Military Aviation". Air Enthusiast Quarterly. No. 2, 1976. pp. 154-162. Van der Klaauw, Bart. Water- en Transportvliegtuigen Wereldoorlog II (in Dutch). Alkmaar, the Netherlands: Uitgeverij de Alk. ISBN 90-6013-6772.